Jag Shoker is a leading performance coach to high profile business leaders and sports professionals and the author of The 7 Masters Moves of Success. 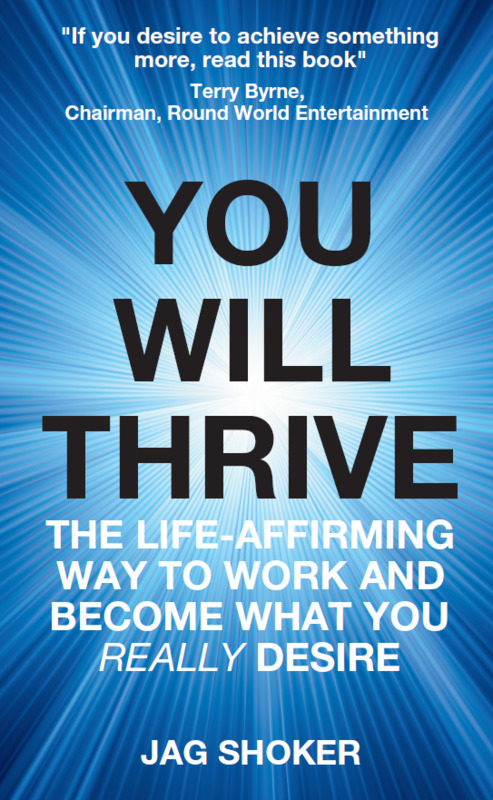 In You Will Thrive he calls upon his own remarkable experience of following the Way and his years of experience in helping others to pursue it to much greater effect. Published 8 November 2016 | 978-1910515662 | 118 pp paperback | print and ebook versions available. Book Categories: Business, Jag Shoker and Self-Help.